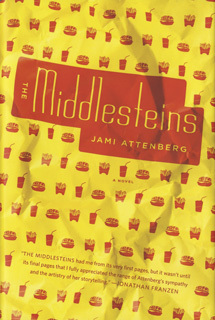 Jami Attenberg’s new novel The Middlesteins is the story of family relationships and individual obsessions, set in suburban Chicago. Earlier this year the book was chosen as the official selection for One Book | One Community, the Chicago Jewish Community’s Jewish Book Month initiative. One Book | One Community, which is organized by Spertus Institute for Jewish Learning and Leadership, seeks to encourage a community-wide conversation around a single book, providing a month’s worth of discussion groups and events in locations across Chicago. Programs begin in October. 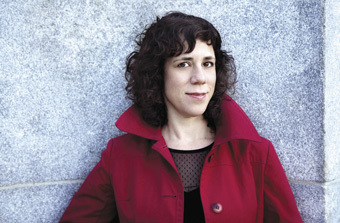 In November, Jami Attenberg will join us in Chicago for a series of author events, including one near her hometown of Buffalo Grove. In this interview, Attenberg shares her inspiration behind the story, reveals which character she would most like to have dinner with, and reminisces about some of her favorite mealtime memories. What started you on your path to becoming a writer? I’ve always written. I’ve loved writing since I was four or five years old. For a while I wrote in high school, was editor of my high school newspaper, that kind of thing. I wrote poems and stories here and there. But what really started me on my path was when I went to school and got a degree in creative writing at Johns Hopkins University. Writing was always the thing I loved most, and I’m a firm believer that if you can find the thing you love most in this world that you should definitely pursue it. A lot of people spend their whole lives trying to figure that out. I feel I got lucky figuring it out right away. Addiction and obsession seem to be major themes in The Middlesteins. How did writing the book allow you to explore these topics in depth? In all of my books I have characters who have issues. So it wasn’t necessarily new territory for me. Still, it was very interesting to explore issues of food, mostly because I love food. I think about food a lot, and I see in America that we have a problem with obesity. But I didn’t set out thinking I was going to write a book addressing this big American issue. But food addiction is a really interesting subject. It’s something that you can’t really get away from. You know, if you have a problem with drugs or alcohol, and you quit those things, you don’t ever have to deal with them again. But if you have a problem with food, it’s something you have to face every single day. This book is notable for the way its characters can engage in destructive behavior, but still gain our empathy. How did you achieve that effect in your writing? I just tried to write from a place of compassion. That was the most important thing for me. I was just trying to understand them, and I hope the reader is trying to understand them along with me. A big element in this book is food. In the course of your research, did you encounter any interesting theories about how Jews relate to food? Was food a big part of your family growing up? Writing about food felt very instinctual. I didn’t have to think too hard about it. I have a family and friends and I’ve traveled—so I already had some ideas about how people relate to food and how Jews relate to food. And again, it’s not all Jews that relate to food the way I do, but I’m glad it feels universal to people. I did, however, research some stuff about Chinese food. Did you discover the secret of why Jews love Chinese food? There are a bunch of reasons, and everybody has a different story behind it. To be honest, though, my family wasn’t much of a Chinese food family. We were more like a pizza family, or a hot dog from Portillo’s family. We did Eduardo’s a lot, but not necessarily Chinese food. It wasn’t until I moved to New York that I started eating Chinese food. Do you consider The Middlesteins a Jewish book? I didn’t really set out to write a Jewish book. None of my other books have been about characters that are Jewish, even though I’m Jewish. 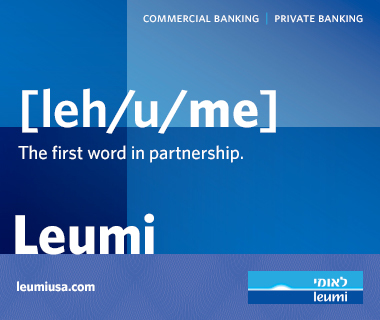 It’s certainly been embraced by the Jewish community, which is wonderful. People have been incredibly generous with me in the last year, inviting me to speak and inviting me into their temples and homes. It’s a wonderful experience to have people feel a personal connection to my work.